Racing in Southern California has always been exciting, dating back more than 100 years. Jimmy Murphy, winner of the 1922 Indianapolis 500-Mile Race and 1921 French Grand Prix, went to high school at Huntington Park High School in Los Angeles. Rodger Ward, winner of the Indianapolis 500 in 1959 and 1962, and Phil Hill, the 1960 F1 World Champion were both raised in in the Los Angeles area. Southern California was home to Ontario Motor Speedway, Riverside International Raceway and Ascot Park. 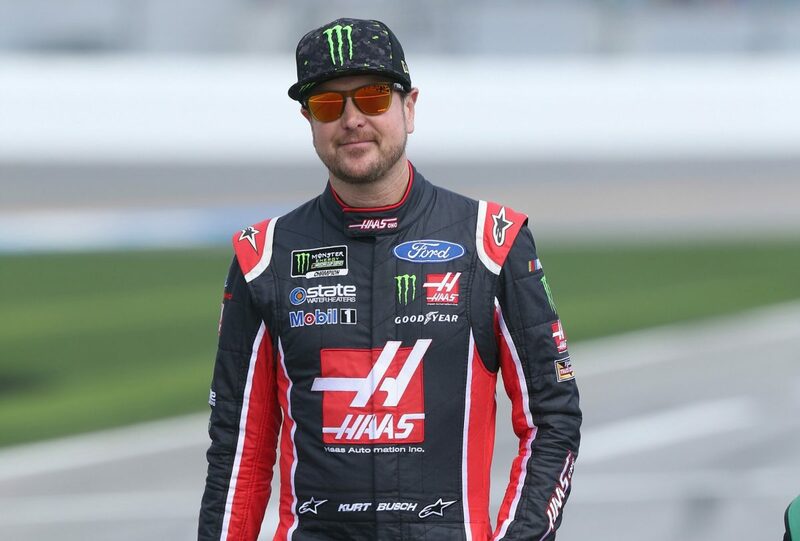 Now, it’s home to Auto Club Speedway in Fontana, California, site of this weekend’s Monster Energy NASCAR Cup Series Auto Club 400, which is an important race for Stewart-Haas Racing (SHR) driver Kurt Busch. The driver of the No. 41 Haas Automation/Monster Energy Ford Fusion for SHR would love to win on the outskirts of the second-largest city in the United States. He also would like to win for local companies Haas Automation and Monster Energy. Haas Automation headquarters are just 105 miles from Fontana in Oxnard, California, while Monster Energy’s headquarters are only 21 miles away in Corona, California. So, it’s a huge weekend for Busch at Fontana, where he has tasted a good bit of success in his career. He has one win, seven top-five finishes and 12 top-10s in 25 starts at the 2-mile oval. Additionally, the 39-year-old driver has led 298 laps, has an average starting position of 14.9, an average finish of 12.8, and has completed 99.9 percent – 5,551 of 5,556 – of the laps he’s contested there. He can also push the throttle as four of his 22 career poles have come at Fontana – February and September 2006, September 2007 and March 2015. It’s more Fontana poles than any other active driver. Introduced at IMTS 88 in Chicago, the Haas VF-1 established an industry milestone by being the very first American-built vertical machining center to sell for less than $50,000, an unheard-of price at that time. With a published price of $49,900 – another industry first – the Haas VF-1 quickly became the industry benchmark for affordable CNC technology. Today, the Haas VF-1 still sells for less than $50,000 – in fact, it’s only $46,995 – and Haas Automation is one of the world’s leading manufacturers of CNC machine tools, with an extensive lineup of more than 100 high-value, high-performance products. Busch knows the stakes are high. But so did Murphy, Ward, Hill and every other great driver who’s ever hailed from or drove in Southern California. Overall thoughts on Auto Club Speedway? What is your favorite part about the track? Is there anything you don’t like about the racetrack? How big is this weekend for you, Haas Automation, Monster Energy and Ford?